Previously, we implemented the SMECAS system to the bank for the end-to-end loan process management of the clients from the Enterprise segment. Based on the positive experience with the solution, the bank decided to enlarge it by the loan processing system for the segment of small business and natural persons – entrepreneurs. The main goal of the project was to increase the efficiency of taking care of the bank’s small business clients – from their arrival to the bank branch, through the approval processes and documentation administration, to the loan drawndown. We were able to accomplish this mission by implementation of our bank solution named LPS (Loan Processing System). more efficient administration of loan documentation, thanks to which the bank advisor can dedicate more of his time to the client. The new system is used on the daily basis by the bank´s employees across the entire VÚB bank – mostly by the bank advisors as well as analytic centres´ employees, Sales management department and Risk management department. The SMECAS solution is a part of our comprehensive bank solution LPS (Loan Processing System) for the efficient loan processes management in financial institutions. 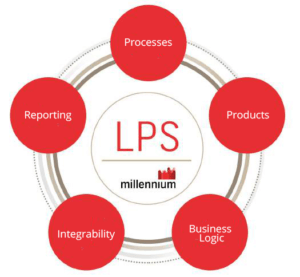 Download our LPS offering to find out more or contact us.